One of the favorite tricks of Darwinoids is to engage in equivocation, which is a logical fallacy. It is also called the bait-and-switch maneuver. For our purposes, we'll look at how the word evolution is used. This word actually has several definitions that involve change over time in one way or another. 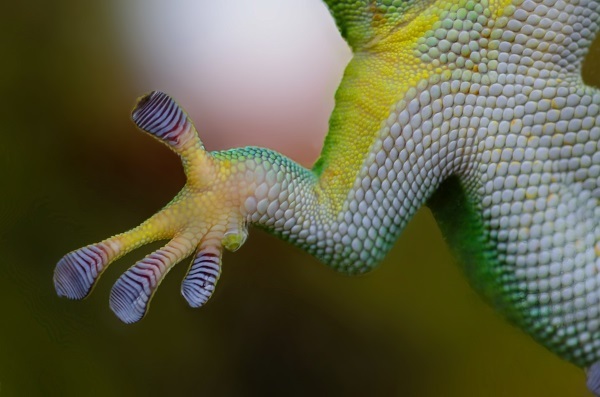 Humans were credited (or blamed, if you will) for "rapid evolution" involving geckos. Geckos, those baffling little critters that can hang by one toe and inspired self-cleaning adhesive tape, were observed changing over time. Although the geckos remained geckos, disingenuous proponents of universal common ancestor evolution called these minor changes "evolution", equivocating on the key word to deceive people into believing that Darwin was right after all. Ain't happening, Zeke. Those sidewinders were implying that big picture evolution happened, but no new genetic information was added, and the geckos conveniently evolved into — no, they remained geckos. They were created to adapt, which is what they did. News reports are proclaiming that human actions, in this case the building of a hydroelectric dam in Brazil, are “messing with evolution” because of changes in a species of gecko. To read the rest, click on "Are Humans Driving Rapid Lizard Evolution?"